Welcome to the unique world of Ovomaltine. Invented in Switzerland in 1904! Have you heard about Ovomaltine Crunchy Cream? No? 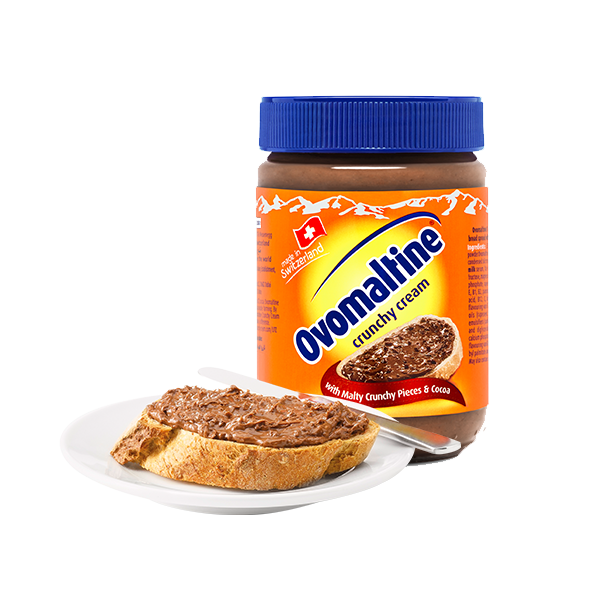 Discover the only bread spread that combines the original malty beverage powder Ovomaltine and cocoa! Caotina is a premium drinking chocolate powder made with rich, delicious Swiss chocolate, available in three varieties (original, dark, white). It has been invented by Wander in 1963.